Vegan Fusion promotes the many benefits of vegan cuisine for our health and for the preservation of our planet. 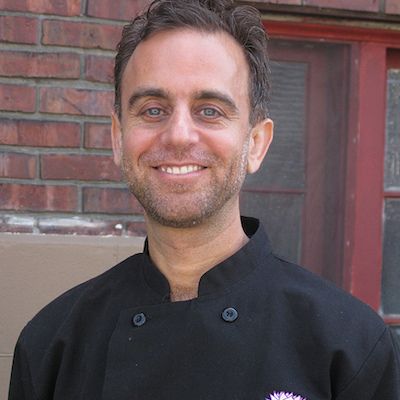 We offer plant based vegan, vegetarian, gluten free and raw food cooking classes, including 2 day vegan cooking workshops, teacher trainings, 5 and 10 day vegan cooking immersions, retreats, vacations and culinary toursinternationally and our on-line healthy cooking class video series and membership program. We also offer vegan and raw food consulting services and can assist in menu and recipe development for our Innovative Global Cuisine. We have published various books, including Vegan Fusion World Cuisine, The Complete Idiots Guide to Eating Raw, The 30-Minute Vegan, The 30-Minute Vegan’s Taste of the East, The 30-Minute Vegan’s Taste of Europe, The 30-Minute Vegan’s Soup’s On!, The Complete Idiot’s Guide to Low-Fat Vegan Cooking, The Complete Idiot’s Guide to Green Smoothies, and The Complete Idiot’s Guide to Juice Fasting.